Are you ready? Because I’m about to tell you something that should cause you to breathe a huge sigh of relief. Your child’s bedtime routine doesn’t have to be elaborate (or long!) in order to encourage your child to sleep well. Before I go further, I should point out that this article will be especially useful to those who have already sleep trained. If you are still assisting your child to sleep in any way (from giving them a paci to co-sleeping and everything in between), your bedtime routine won’t have any influence on your child’s sleep because the only thing they truly need in order to fall asleep is that assistance. 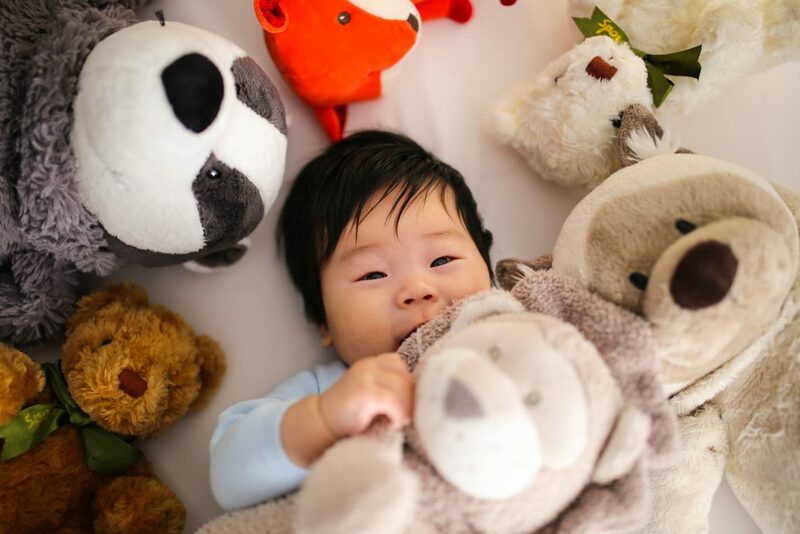 If however, you have taken the plunge and trained your little one to go down fully awake, and fall asleep 100% on their own in a crib, let me shed a little light on what truly makes a difference in a bedtime routine. Make sure that your child’s final milk feeding is the very first part of their bedtime routine. Ideally this feeding should be done in a well-lit room, and your child should stay entirely awake from the moment they start to feed until the moment they finish. It’s not sufficient to “wake them up a bit” at the end of their feed if they become drowsy while eating – they need to stay entirely awake from the start to the end of their feeding. Next, aim to have your entire routine (including feeding) take as close to 30 minutes or less as possible. If your routine is taking too much longer than that, it may be time to look into what you can jettison from your bedtime routine. If you enjoy your bedtime routine, and it’s a bit longer than 30 minutes, know that it won’t harm your child in any way to have a lengthy routine – simply that it may be a better idea to feed your child, then put them to bed quickly, so as to not draw out bedtime any later than it needs to be. Know that all your child truly needs in their bedtime routine is: a feeding, clean diaper + jammies, a little love, and to be put right to bed. Books, songs, and cuddles are okay, but they won’t make much difference in helping your baby sleep well. Also, don’t feel like it’s necessary to have quiet play time or low lights in an effort to “wind down” before bedtime. As long as the final feeding takes place within 30 minutes of bedtime, and you undertake the normal, soothing parts of bedtime (a diaper change, pajamas, kisses and hugs), that will be more than enough for your child to go down easily. Finally, aim to spend about five minutes or less (not more) getting your child to be calm and relaxed, not sleepy or drowsy, before bedtime. Ideally you’d want your little one to go down calm and awake. Avoid any rocking or swaying movements you know will make your child go to sleep, and instead focus on calming and soothing movements that will help relax them. 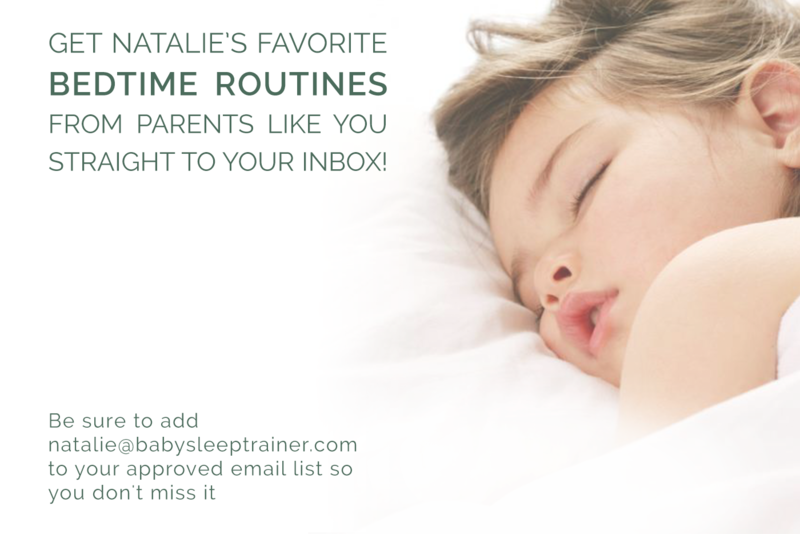 If you’re ready to take your child’s sleep to the next level, check out my online training program! Hi Natalie! Thanks for the post! Very interesting about not needing to wind down. You mention 5 minutes of holding the baby before putting them down – what if the baby cries? Hi Natalia! Thank YOU for reading! I would love to answer this question in depth during one of my Facebook lives (which I do twice a month on 1st and 3rd Tuesday nights at 7pm PST) – come and join http://www.facebook.com/babysleeptrainer!